It’s that time of year again. School is starting, some students have already begun and others will grab those backpacks and lunches after labor. Regardless of when your area starts school, it’s important for motorists to be mindful when driving especially when traveling through school zones and near bus stops. 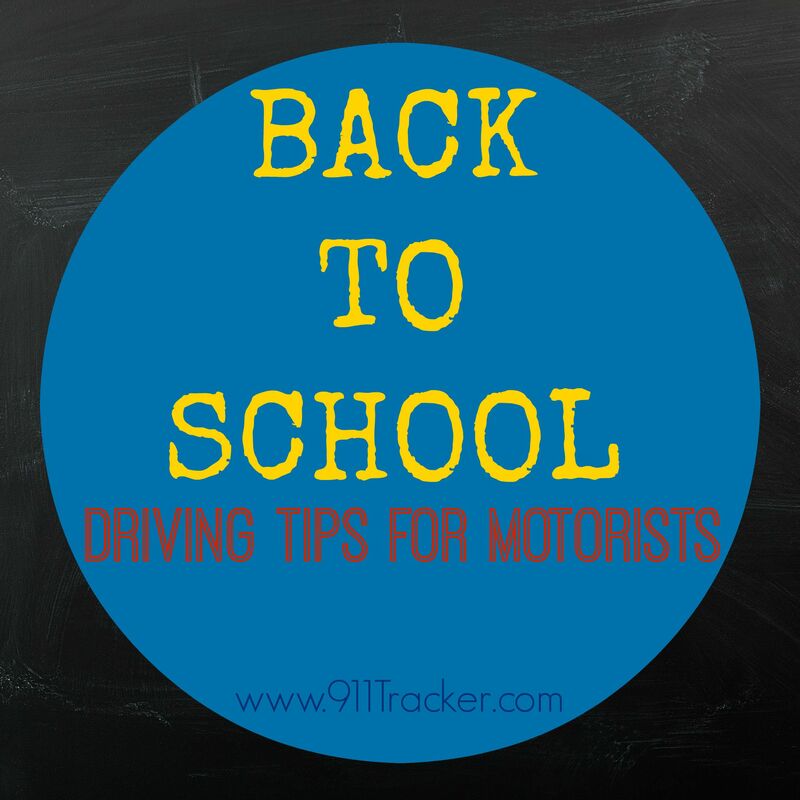 Here are some of our favorite tips to keep students and motorists safe during the school year. SCHOOL ZONES – When driving through school zones keep it at 15 mph and be very aware of your surroundings since many kids walk to school and could cross the street without looking. BUS STOPS – It’s the law, but most of all kids are darting out all over the place so make sure you stop for all school buses that are loading or unloading children. CROSSING GUARDS – Keep an eye out for crossing guards, they can walk into the road at any time to protect a child crossing the street. STAY ALERT – Especially near the schools, bus stops and parking lots. Most children are not paying attention when walking because they are chatting with their friends or being silly so it’s our job to be as alert as possible to keep everyone safe. NO PASSING – I know it can be frustrating to drive so slow in school zones, but there is a reason for it so don’t pass others just to get ahead a few cars. Not worth it! HANDS FREE – Get that Bluetooth out and go hands free while driving so you can stay alert on the road. CHANGES IN WEATHER – Fall brings changing falling leaves and wet roads which makes the roads slippery. Allow for greater stopping distance when driving on wet leaves or road. CURBSIDE LANES – I know it’s tough when you are running late but take the few extra minutes to park in the lot instead of doing curbside. They are designed for buses and emergency vehicles. We want to keep those areas open for the proper vehicles. CARPOOLING – When carpooling don’t overload your vehicle and make sure every passenger has a safety belt. TEEN DRIVERS – Got a teen driver in the house? Make sure they are aware of all the rules and is keeping it safe while driving to school or really anytime they are behind the wheel. 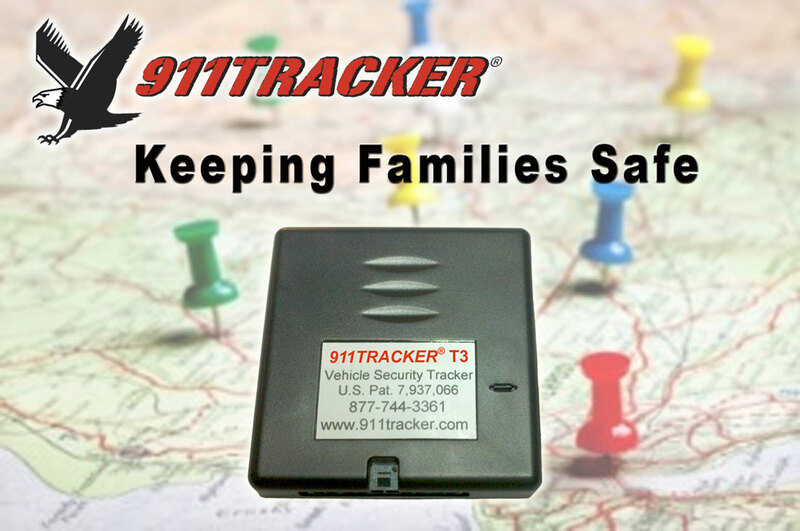 Another way parents can keep a better on their teen by installing the 911Tracker T3 Device. It allows parents to track their teen while driving to make sure they get to their destination safely. The T3 is currently on sale through our website —-> take advantage of this deal and learn more about how the T3 Recovery Device can help the whole family stay safe while on the road. This entry was posted in Car Safety, Safe Driving and tagged Car Safety, Teen Drivers, Teen Driving on August 11, 2015 by Deanna. Car crashes are the leading cause of death for teens and that risk climbs even higher during the summer months. More free time, relaxed parental curfews, and less supervision overall combine to create a higher risk for teen driving accidents and deaths when school is out. On an average more teens died in the months of July and August than any other months of the year. Worried about your teen being safe while on the road this summer? 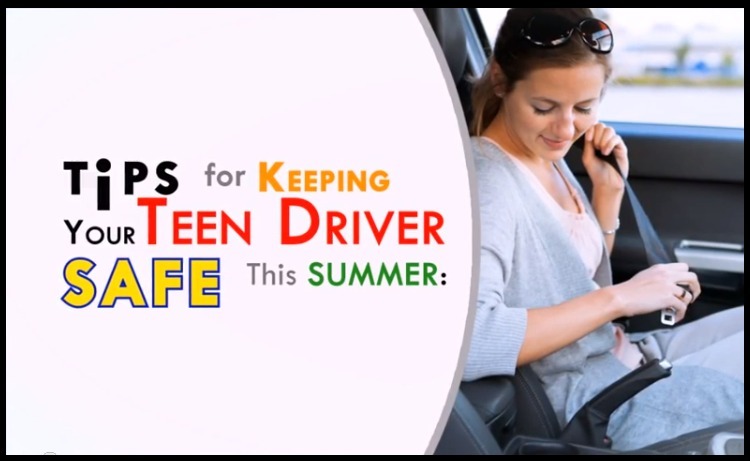 Here are 5 safety tips that you may not of thought of that will help keep your teen stay safe on the road during those crazy summer months. NIGHT DRIVE – Did you know that 17% of teen fatalities occur between 9 p.m. and midnight, and 26% occur between midnight and 6:00 a.m. What can you do? Reduce night driving, giving a curfew, and being aware of where and when your child is driving will be one way to address this crash risk. SLOW DOWN – Parents need to set a good example way before your child is ready to drive themselves. Teen crashes are more likely to involve speeding, especially with male drivers. Make sure your teen knows that driving above the speed limit can lead to a ticket (which they should pay for), insurance rate increase, or even a deadly crash. TURN IT DOWN – Teens love to listen to music, and they love to listen to it as loud as they can. How can they hear the road noises around you, you can’t! Headphones are even worse, so encourage to put the headphones in the glove box and turn the radio off and focus on the road. LIMIT PASSENGERS – Don’t let your teen’s vehicle be the party bus. Friends in the car can be a serious distraction. Limit how many passengers your teen can transport. Most graduated licensing laws already set limits, but make sure you know your state laws or set your own rules. DRIVE A SAFE CAR – Your teen doesn’t need to drive a brand new car but make sure it functions properly. You can even teach your teen how to check tire pressure and how to look for wear and tear on tires. Make sure all lights work, the brakes are in good condition, and the air bags are functioning correctly. 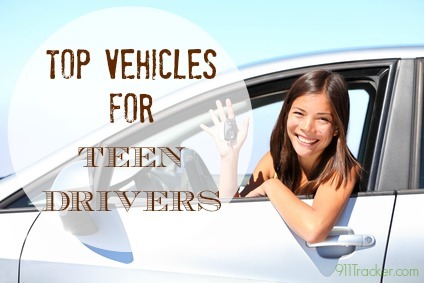 Here is a list of the best cars for teens. Parents can also keep a better on their teen by installing the 911Tracker T3 Device. It allows parents to track their teen while driving to make sure they get to their destination safely. The T3 is currently on sale through our website —-> take advantage of this deal and learn more about how the T3 Recovery Device can help the whole family stay safe while on the road. 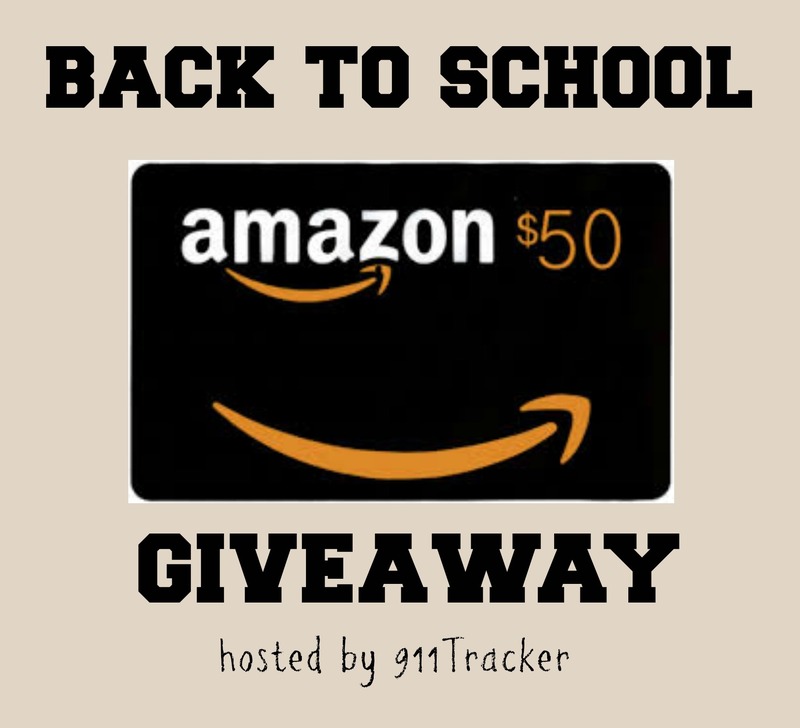 GIVEAWAY ALERT – In honor of Global Youth Traffic Safety Month 911Tracker would like to offer 1 lucky community member a opportunity to win a T3 Recovery GPS Device worth over $200 but having peace of mind while your teen is out —-> PRICELESS! This entry was posted in Car Safety, Safe Driving and tagged Car Safety, Giveaways, Teen Drivers, Teen Driving on April 30, 2015 by Deanna. 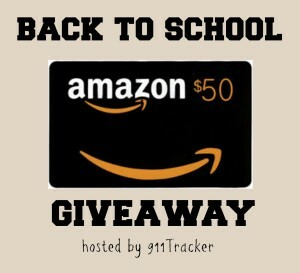 It’s that time of year – SCHOOL STARTS! The roads are more congested with school buses, kids walking to school and crossing streets without looking, and new teen drivers headed to school on their own. If you have a teen driving to school or has a car at college these tips that will keep you and others safe. GET ENOUGH SLEEP – Your teen needs at least 7-8 hours of sleep a night. When a teen doesn’t get enough sleep and hitting the road as early as 6:30 am for school and then heading to after school activities which means not getting home to sometimes later in the evening. This results in drowsy driving, and it can be just as risky as driving drunk. Make sure your teen takes a break, eat high energy foods to help stay alert or if things get really bad call a parent to come and pick them up. SCHOOL BUSES – Teens needs to be aware that it’s illegal in the US to pass a school bus that is stopped loading and unloading children. Teens need to be more cautious when driving through areas where children are waiting for buses, because of kids darting in and out of the road. SPEED LIMIT – School zones have different speed limits during different times of the day. Check posted limits and flashing signs to avoid getting a ticket. DISTRACTED DRIVING – Avoid cell phones, playing with the radio, eating, putting on makeup or talking with friends while driving, all of these things will decrease your ability to pay attention to the road. A distracted driver cannot be a good driver. PARKING – Make sure your teen leaves for school with plenty of time left to find a parking space. The student lots are always a zoo which can lead to many fender benders because of being in a rush to get to class and not paying attention to others around you. A good rule of thumb – get to school a little early and leave a little late to avoid the rush. DRIVE A SAFE CAR – One of the best ways to keep your teen safe is by making sure they are driving a safe car. When buying a vehicle for your new teen driver, make sure it has good safety ratings and is reliability. 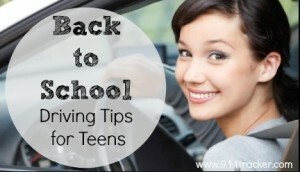 This entry was posted in Car Tips, Safe Driving and tagged Car Safety, Safe Cars, Teen Drivers, Teen Driving on September 1, 2014 by Deanna. When buying a vehicle for your new teen driver, safety and reliability are most important for parents. While some teens may want a vehicle that drives fast, rides low or has those florescent lights underneath, most parents have a more practical priority. When shopping for a car look for vehicles with advanced safety features. *Gets at least 20 miles per gallon in city & highway driving. * Choose a 4V engine because it has limited acceleration capabilities which makes it less likely that your teen will push the vehicle to extralegal speeds. Pickups and SUVs – They have a high center of gravity which makes them more prone to roll over. Sports Cars – They beg to be driven too fast and have a higher rate of accidents than other cars. Toyota Corolla – One of the safest cars on the market and a doable price point whether you buy new or used. You can purchase a four speed, five or six speed automatic transmission which will improve on fuel. Honda Civic- Is a nice looking vehicle and is very popular with teens. The Civic has good fuel economy; wide variety of engines and transmissions; comfortable and well-built interior. Ford Focus – This modernized vehicle is safe but yet stylish. It’s well made and safe which could include the MyKey system. It provides a healthy amount of technology for those teen drivers. Some of the unique features include automatic headlamps and sync voice-activated cellphone and audio controls which will help your teen keep their eyes on the road. Volkswagon Golf – This safe choice is one of the most fun to drive for a teen, because of the shiftable automatic transmission. Parents can also breathe a sigh of relieve by knowing it has 6 airbags that will keep your child safe in case of an accident. Hyundai Sonata – This vehicle is larger than the others but since it provides a little extra bulk it may help keep your teen safer in a crash, and best of all….It’s also very affordable. As a parent you may never be totally at ease when your teen is on the road. Just knowing that your teen is in a safe vehicle and follows these driving safety tips will give you peace of mind. Another way to keep an extra eye on your teen while they are driving is to have a vehicle tracker installed in your vehicle. By doing this you can view exactly where your car is and how fast the car is traveling. This will give you extra security that your child is safe. 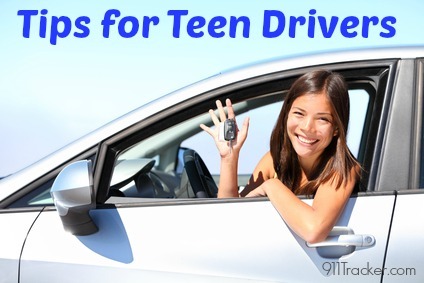 This entry was posted in Car Tips, Safe Driving and tagged Safe Cars, Teen Drivers on March 20, 2014 by Deanna.